Make sure you keep up with all the latest 3L news by visiting this page weekly! Don't forget to check out our class blog weekly! Click here to visit. Happy Easter holidays all, Miss Loftus hopes you’ve had a ‘hopping’ time! 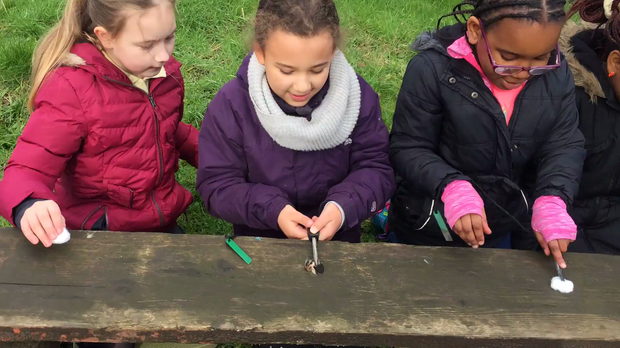 Here’s a few more memories from our trip to Worsley Woods; discovering how art and nature are linked, how coal influenced some of the landscape around us and seeing cowpats for the first time! We’ve only been back a week and it’s been a whirlwind of activity! From world book day to fire lighting – 3L are certainly proving their ‘sparky’ personalities! To successfully build a fire you need to remember the fire triangle ... FUEL, HEAT and OXYGEN! Last half term, we had a couple of days investigating rocks and soils. Observing, recording and discovering! We even made our own fossils! Where is 2017 going? Too quickly we think! 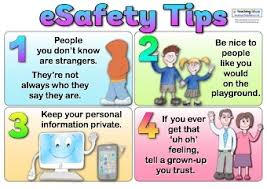 3L have had a diverse and fast paced week; to mark Safer Internet Day (Tuesday), we looked at how we, as 7 and 8 year olds, use the internet and discussed how to stay safe online – both from strangers and cyber bullying. As a group, we looked at some scenarios faced by children our age and created some golden rules of online safety. To enhance our understanding of bullying and its various forms, we were treated to a performance about the dangers of bulling in school. ‘Hope’ is a production that combines music and drama and presented us with the story of three young people who were all affected by bullying in different ways. We talked about who we can talk to if we’re worried or scared about anything both in, and out of, school. It was our penultimate swimming lesson, we have all come on so much! Not one child needs armbands now and we are all confident in the water. Miss Loftus, Mrs Lewis and Ms McCreary are so proud. 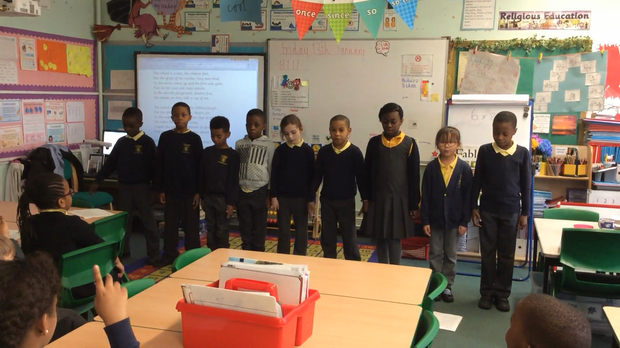 3L have been reading and performing the poem ‘The Ghost Teacher’ by Allan Ahlberg. Interpreting the words into actions, we are really beginning to use our voices and bodies to express the poem rather than just read it aloud. We just hope there isn’t a ghost teacher at STOC! The Ghost Teacher. Verse 1. The Ghost Teacher. Verse 2. When 3L saw ‘Maths Games’ on our visual timeline, they were confused! Maths? Games? Do the two mix? Miss Loftus says YES THEY DO! With resources, we used our knowledge of the four operations of addition, subtraction, multiplication and division within 100. Where has our first term gone? It only seems yesterday that we were all settling into our new surroundings. What a term we’ve had, from learning to swim to learning to grout – it’s been such fun! This afternoon some of us kicked back and watched parts of our class read ‘Harry Potter and the Philosophers Stone’ with snacks whilst others designed Christmas jumpers and coloured Christmas themed mindfulness images. A very merry Christmas to, and from, 3L. SALVE! (said sal-vey, it means hello in Latin). My, oh my! What a day we had yesterday! From devouring a delicious Roman breakfast to brandishing shields whilst being led by a real life Legionary – we didn’t stop! From Gladiator fights to dusting for Roman artefacts our knowledge of the ancient Roman lifestyle increased and our passion for investigating the past was ignited! 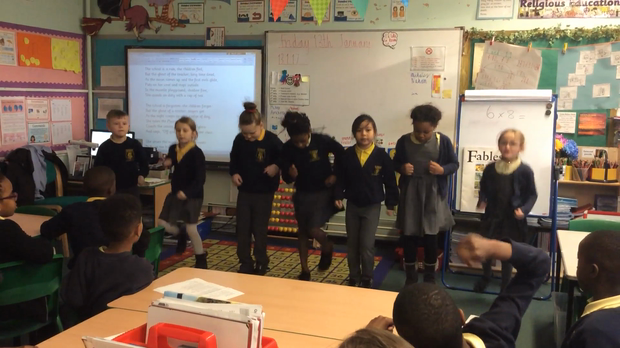 Today, in preparation for our trip to Chester tomorrow, Year 3 experienced the Roman lifestyle for themselves! We made roman bread, investigated the roman number system and alphabet, made shields and acted out the myth of Romulus and Remus! It was thrilling and we are all very excited about the trip tomorrow! This week we visited our local library – Broughton Hub! Taking care to cross the road appropriately using the green cross code (which we’ve recently learnt about) we entered the building and explored the young adults section quietly. Some of us lent books! We are all hoping to visit again out of school time! Despite moving onto addition and subtraction, we have not forgotten about all that we learned about place value! Look at how we’ve been representing 2 and 3 digit numbers using various apparatus. We have been locating continents and oceans with Miss Wood. Try this fun game to test your own knowledge! Can you get to level 3?! It’s friendship week and we’ve been busy developing a recipe for the perfect friendship. 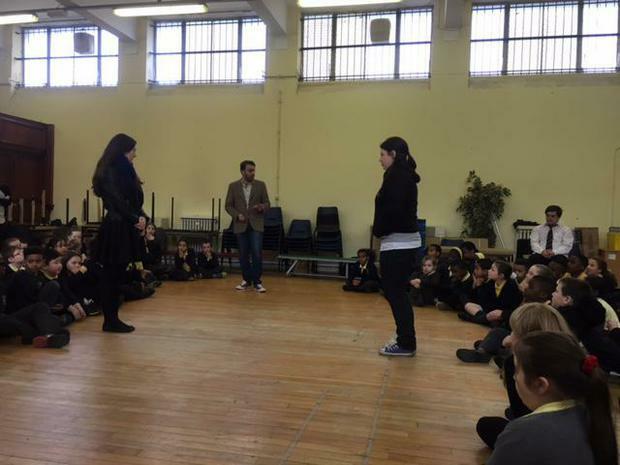 Miss Loftus took 2 apples – we all whispered nasty comments to one (A), and pleasant comments to the other (B). When Miss Loftus sliced them in half – we noticed that, despite being exactly the same on the outside, the apple that we had been nasty to was bruised inside! This just shows the power of words! Our very own Mikey was in a talent show! We made him a poster telling him that he will always be a winner to us! Each child in KS1 and KS2 became scientific explorers on Tuesday of this week (8.11.16). From building and launching rockets, to constructing motorised cars, we worked as a team because Together Everyone Achieves More. We certainly have some budding scientists in our school! This week we will are beginning to write our own setting descriptions. Imagining we are travelling alongside Harry Potter, we will be describing our journey to the magical, yet mysterious, Hogwarts. Watch the clip we have used to help us describe (click)! Can you name the 5 senses we can use to help bring our setting descriptions to life?! After watching the Year 4 assembly on John Muir, we have been inspired to look around our own environment and wild places. We are bringing leaves in and then will try to identify which tree they came from ... we will post some pictures up! This half term we will be making our very own mosaics! Before we get our hands dirty with grout, why not try making one online?! Print them off and we can put them on display! Make your own mosaic here. 5 weeks has gone in the blink of an eye and what an action packed time it has been. Over the past few weeks, 3L have become journalists reporting on the devastating volcanic eruption in Pompeii, we have investigated rocks and we have also visited the local swimming baths and many of us are now swimming without armbands! For those wanting to watch the Lego Romulus and Remus video, follow this link! 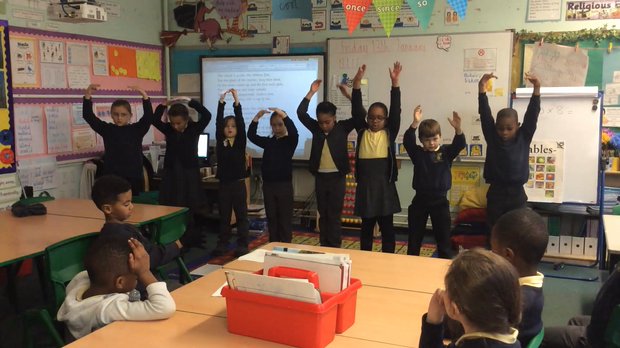 Check out our class blog! On the homepage, at the bottom, click 3L blog! We will be running competitions and giving prizes away for those who contribute! What will my child learn in Y3? Helping your child with reading and maths!